As a child I distinctly remember feeling utterly bewildered when my mum inferred that she didn’t really like Christmas. I was totally incredulous. Beautiful decorations, a manic sense of excitement, loads of yummy food, (illicit) chocolate for breakfast and piles of presents…what’s not to like about that combination? As a grown-up, with three kids of my own, I totally get what she meant. 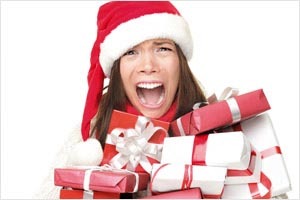 Every year I vow to be more organised and get Christmas under wraps early doors…and every year I fail. This year I even managed to lull myself into a false sense of security by procuring a couple of gifts in late October. ‘Go me!’ I thought smugly, and then proceeded to sit on my festive laurels for another month. December 1st arrived, bringing with it that traditional sense of festive panic that has tainted all recent Christmases past. Don’t get me wrong, this negativity is not Scrooge-esque. I love buying presents. It’s just the relentless yuletide to-do list that gets me down. 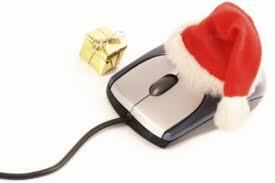 Which got me thinking: surely in this day and age there are some digital delights to make Christmas a bit less overwhelming? Top of my festive bug-bears is the tedium that is Christmas card writing. I always leave it to the last minute and then trawl through my address book, while hurriedly writing generically impersonal messages with an aching wrist and deficit of festive cheer. It’s not that I don’t want to say Happy Christmas to the recipients; it’s just that getting through the pile of cards is yet another chore to cross off the extensive Christmas itinerary. With this in mind, it’s much easier to create a quirky video on http://www.jibjab.com and email it out to all your friends…job done. Except, if you’re anything like me, you don’t have email addresses for all of the ‘friends’ that you post cards to, as for some of them, this annual communication is the sum total of your interaction! Still, you can surely remember to collect their email addresses for next year? A similar, yet superior offering can be found at http://christmas.nspcc.org.uk/santa For a £5 donation (Why not make it £10 while you’re at it?) you can choose from eight different designs and festive stories to create a personalised letter for children. Imagine their little faces when they receive a genuine letter in the post from Santa…priceless! It’s been around for a while now, but Norad’s Santa Tracker http://www.noradsanta.org/ still puts a smile on my overwrought December face! Developed by the North American Aerospace Defence Command this lets you (or your kids!) watch Santa’s progress as he makes his annual trip around the globe. The app version also offers a recreation of Santa’s Village, a new game every day, festive music and opportunities to get live updates on Santa’s location. For those of you searching for the true meaning of Christmas, floundering under surfeits of food, booze and plastic tat, then this could be the one for you. As the cold weather kicks in, http://www.streetlink.org.uk provides a way for members of the public to inform local authorities about rough sleepers in their area, with the aim of helping to get them off the streets. Since its launch, a year ago, StreetLink has directly helped 4,000 rough sleepers – a thoroughly worthwhile contribution to the season of goodwill. As the office Christmas party season kicks off, the quest begins for that perfect secret santa present that reveals you, the giver, to be witty, thoughtful and humorous (it never remains a secret for long). The Secret Santa tombola app makes Secret Santa shopping a piece of cake. Simply select the gender of the gift receiver, pick the type of gift (cheeky, fun or cute), and your budget. Then spin the tombola to see the recommended gift. Ever find yourself throwing in a little ‘something for me’ in that Amazon bulk order? Treat yourself guilt-free with Apple’s 12 Days of Gifts app. It lets you download a surprise free gift from Apple every day between the 26th December and 6th January. Each day’s gift is different – it could be a song, app, book or film…and it’s only available for 24 hours. Previous year’s gifts included music from One Direction, Lady Gaga and Coldplay, TV shows from the BBC’s Sherlock, Top Gear and House, books from Lee Child, Jo Nesbo and Ken Follett and apps from Snapseed, Electronic Arts and Sega. Embarrassed about your lack of gift wrapping skills? The Gift Wrapping Instant Expert app has videos and quizzes to teach you how to wrap presents, create bows, set up gift baskets and make your own custom gift tags. There are six categories that will take you from someone who can barely fold a straight line (me) to a “Gift Wrapping Master”. Are you a bit culinary challenged The BBC Good Food Festive Recipes app features a collection of over 180 tried-and-tested recipes to get you through Christmas and New Year. There’s something for every course, plus drinks and canapés and even a bountiful selection of vegetarian options. All recipes have clear instructions and a photograph to help you get the best results. Failing that, you could always Sky+ Jamie’s/Nigella’s/Delia’s latest instructions for the perfect Christmas dinner and use pause and rewind to follow step-by-step. Now that’s a digital invention worth celebrating! So there you have it – a handful of digital assets to positively enhance your festive experience. Now all you’ve got left to do is don that festive jumper and find Slade’s I Wish it Could be Christmas Every Day on Spotify. While you’re at it, don’t forget to choose the most flattering Instagram filter to hide the horrendous suitcases under your eyes courtesy of back-to-back Xmas parties and the inevitable 5am wake-up call of the under-10s. ‘Appy Christmas one and all!